This family home in Bagshot is a four bedroom Charles Church property built in the 1980's. 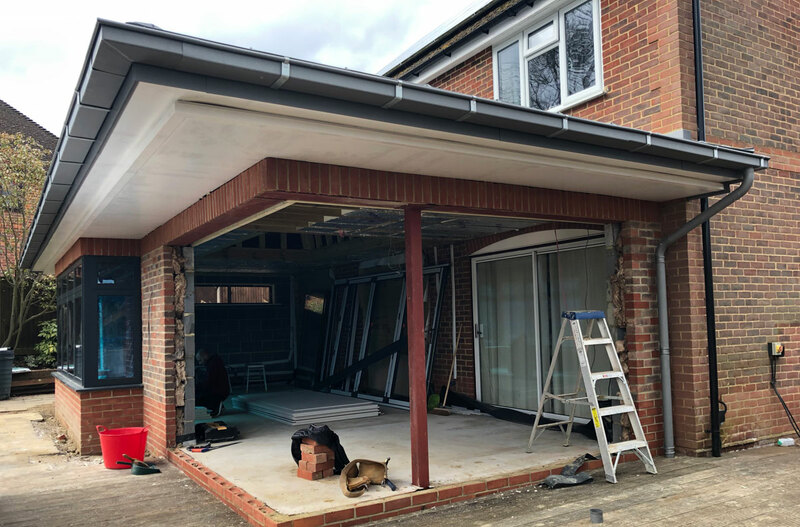 Featuring a conservatory with a zinc roof aspect, it will allow for a family room which will gain an extra 22 square metres of habitable space. It is an interesting project because the extension will have an open corner with bi-folding doors. The project includes a new boiler and hot water cylinder and the landscaping of the property. It is scheduled for completion in April 2019.